Finally A Durable, Stylish, And Dependable Backpack To Ensure The Safe Transportation Of Your Valuable Digital Assets. 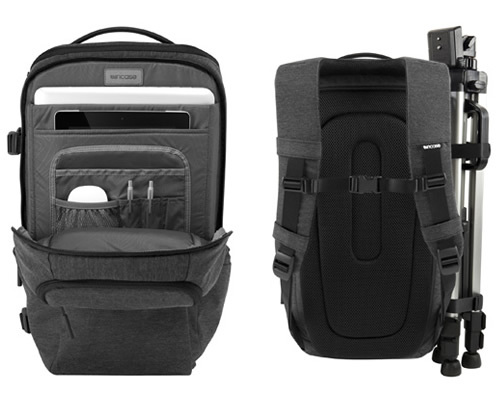 … then the Incase DSLR Pro Pack camera/notebook bag was designed specifically with you in mind. In today’s digital world – speed & accessibility are becoming more & more crucial… With the arrival of the Incase DSLR Pro Pack… you no longer have to leave any of your critical digital devices behind when you leave home. 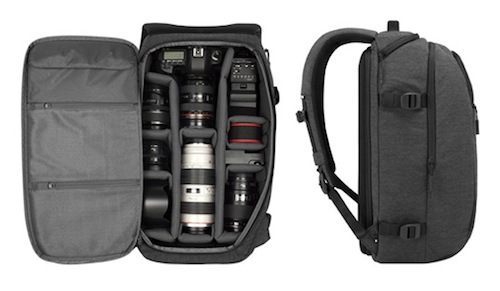 Main compartment fits an incredible amount of gear, like camera bodies, lenses, & flash kits. 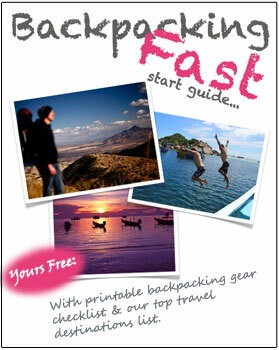 For travel photographers… you can now take everything you need to finalise your project on the go. Shooting and editing your project on the move has never been easier, with all your gear at your finger tips… available to you when you need it the most. And other accessories safely & securely. A quick access camera pocket on top of the pack, means you can grab your camera fast… so you don’t risk missing even one critical shot. I stow my 15″ MacBook Pro away securely in the heavily padded, fleece lined, dedicated notebook pouch. There’s a further dedicated iPad sleeve in the main compartment of the bag… plus you can even strap your tripod to the side of the bag and take it with you wherever you go. 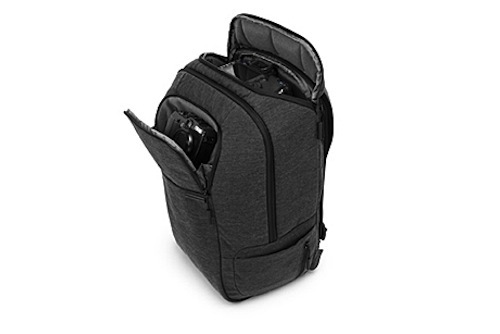 I wouldn’t say the Incase DSLR Pro Pack is exclusively for professional photographers either… … budding photographers and digital users of the modern world, will no doubt enjoy the benefits of the Incase backpack as much as I do. Unlike other camera bag designers… Incase has created a versatile camera bag combining function plus the DSLR Pro Pack’s unique and refined look… in the signature Incase minimalist style. The Incase DSLR Pro Pack is by far the best backpack I’ve found for photographers & laptop users who travel. Hi, That is a very good case, thank you for the review. The travel photography case I am absolutely in love with is the Lowepro Fastpack 250 since it gives you the freedom of super easy access to your camera wherever you are, you just slide the bag in front of you and it’s done. However the Incase DSLR Pro does have much more space for the better equipped photographer.